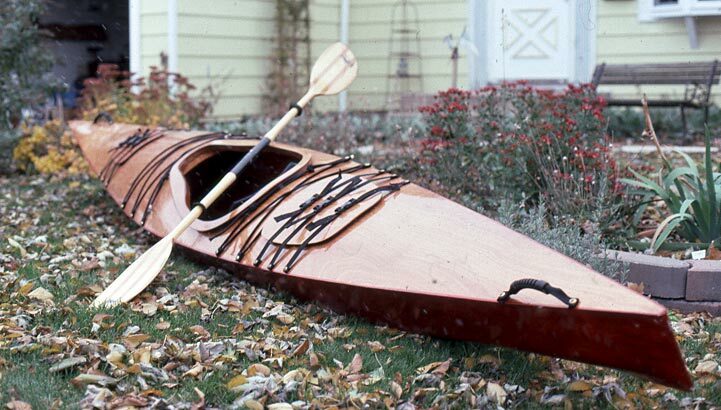 Bob Philips began building this Chesapeake Light Craft 17 kayak under guidance of Bill Thomas at a WoodenBoat School class held at CLC in Maryland in May 2002. After the week-long class, Bill needed another 40 hours to finish the boat, and launched her in July 2002. Bob paddles on Lake Michigan, where he reports he has paddled through 4' waves and 20 knot winds. He writes that the boat tracks remarkably well and is the most stable craft he has ever paddled.